Adaobi Tricia Nwaubani was announced the Raven Award 2018 winner for her young adult novel Buried Beneath the Baobab Tree on December 5, 2018. The Raven Award is given annually to an artist whose work creatively represents some aspect of mimetic theory. The winners come from the stage, screen, fiction and the visual arts which have the extraordinary capacity of the arts and entertainment to soften hearts and shift our thinking about our place in the world. Previous winners are Heidi Stillman. Stephen Schwartz, Indira Johnson, Kevin Miller, Anthony Bartlett, Paul King, Tim Allen, and Christian Picciolini. 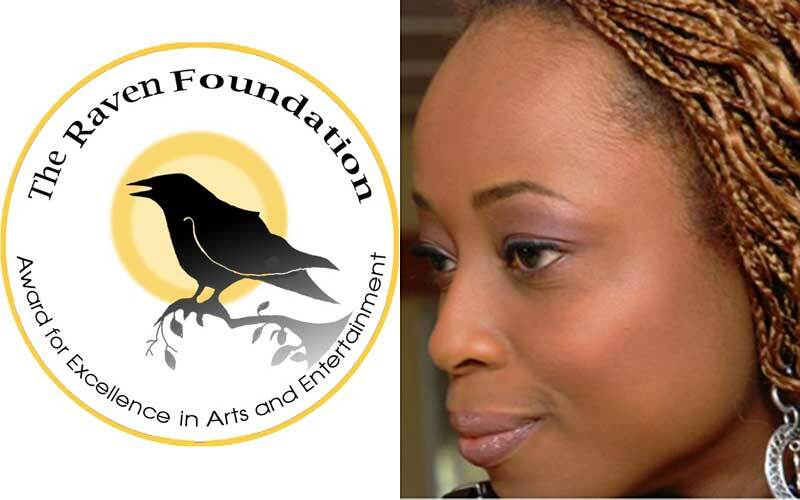 In 2018, the Raven Award was accorded to Nigerian writer Adaobi Tricia Nwaubani for her young adult novel Buried Beneath the Baobab Tree, in which a kidnapping victim tells us about her experiences before and during her capture by Boko Haram, the notorious Nigerian terrorist group. Adaobi Tricia Nwaubani is a novelist, journalist, essayist, and humourist who came to the limelight with her stunning debut novel, I Do Not Come to You by Chance set in the intriguing world of Nigeria’s ‘419’ Internet scammers (our review). The 2009 book would go on to win the Wole Soyinka Prize in 2010, Commonwealth Writers Prize best first book Africa region and a Betty Trask Award from the society of authors in 2010. It was also named by the Washington Post as one of the Best Books of the Year. Her second novel, which is in the Young Adult genre, is Buried Beneath the Baobab Tree based on dozens of interviews with girls and women kidnapped by Boko Haram. The novel set in a small unnamed village in northeastern Nigeria, where a young girl dreams of acing the Borno State scholarship exam published by HarperCollins/Katherine Tegen in September 2018. Previous Previous post: Ben Okri to headline Berlin’s African Book Festival 2019. Next Next post: A snapshot of the Abantu Book Festival 2018.